Instructor User Guide SyllabusHow do I create a multi-part syllabus based on number of items needed? Zoom: Click the arrowhead icon to the left of an item to expand the item. 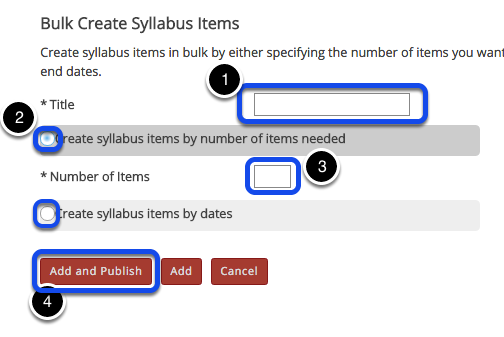 Prev: What is the Syllabus tool? Next: How do I add my syllabus as a file attachment?